I know that many condominium association boards of directors contemplate the idea of making owners responsible for the waterproofing on the balconies or decks in condominiums (and yes, generally the association is responsible for repairing or replacing what is considered common area waterproofing). Bad idea. The reality is that owners will not do what is required to ensure that the waterproofing is properly maintained and the resulting leaks will allow water to damage the common area and other units. One association client learned this the hard way. It all started with that association amending and restating its Governing Documents. As a part of that process, their former attorney suggested that they make the homeowners responsible for the maintenance, repair and replacement of the waterproofing on each homeowner’s exclusive use balcony decks. Many associations tell me they would like to see the homeowners responsible for the waterproofing, as they claim that the association does not want to have to save or expend the money for that work. However, in practice this is not a good idea. The fact is that homeowners are not really that good at maintenance. Many owners move into condominiums so that they can avoid having to do that kind of work. Most waterproofing systems require some form of recoating every three (3) to five (5) years. Homeowners do not understand waterproofing systems, and neither do most boards at condo associations. At the association that was involved in the lawsuit that is the subject of this article, a prior owner of a unit had ongoing leaking issues with his large balcony deck. 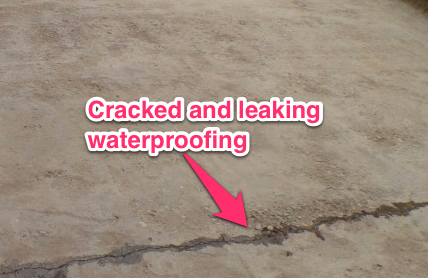 To resolve the leaks, he made substantial modifications to the waterproofing system. He then sold the unit. His modifications had not resolved the leak issues. Two ladies (elderly mother and middle-aged daughter) bought and moved into the unit. Both were not young, had no sophistication with or knowledge about waterproofing systems, and both appeared to have health and age issues. Shortly after they moved in, their balcony deck began leaking into the first floor of their two-floor unit, as well as into the first and second floors (of the four story) building below them. When they finally allowed the association to inspect, the association discovered a large split in the water-proofing on their balcony deck. The association ended up making the repair to the waterproofing and yet the deck continued to leak. On further investigation, it was determined that scupper (drain) that had been modified by the prior owner was leaking. There was no simple fix. The condo association spent approximately $30,000 investigating the cause of the leak and removing the mold and repairing the two units below. The association demanded payment for the cost of repairing the damage from the homeowners and they just ignored the demands. The association was left no choice but to retain legal counsel (me) and I had no choice but to file a lawsuit against the two ladies that owned the subject unit as they refused to communicate with me. What should have been a simple case that should have settled early on became a nightmare for the association, a nightmare with a happy ending. The homeowners tendered the lawsuit to their insurance carrier who provided them with a defense. Rather than try to settle the case, the insurance carrier and the insurance defense attorneys they assigned to defend the case denied that the homeowners were responsible for the damage that was caused by the leaks. The case proceeded through the litigation process and was ordered to mediation. At one court ordered mediation, neither the homeowners nor the claims representative from the carrier attended. The carrier offered nothing to settle the case. Nothing! We later agreed to a second mediation with a retired judge. Again, neither a claim’s representative nor the defendant owners came to the mediation. Again, the carrier failed to offer sufficient monies to settle the case. At that point the association was willing to accept $45,000 to settle the case, which would not have fully compensated the association for all of the damages and the attorneys’ fees that had been incurred to that date, but would have worked to eliminate the lawsuit that was costing the association money for me to prosecute. The case was set for trial and the defendants’ counsel suggested that we expedite the matter by agreeing to private arbitration with a retired judge. They agreed (at our request) that the retired judge be obligated to rule based on the association’s Governing Documents and California law (not leaving the arbitrator with any discretion to base the award on what they felt was the best interest of the parties). This is highly recommended for any association that is considering arbitration. The good news is that the retired judge/arbitrator ruled in favor of my condominium association client finding that the defendants were responsible for all of the damages that had been incurred. The arbitrator awarded the Association $32,000 in damages, $8,000 in investigation costs, $22,000 in interest on all of the monies that the association had expended to make the repairs, $12,000 litigation costs (which included the experts testimony at the arbitration, the arbitrator’s fee, and all of the other associated litigation costs), and attorneys fees in the sum of $94,000. This is a total of $168,000 in a case that could have settled two years prior for $45,000. Since we completed this arbitration, I am advised that the association has discovered one unit with two balconies that are leaking and dry rotted and cost $8000 to repair, and another two units with decks that are suspect. The moral of the story is that condominium associations need to be very proactive when dealing with the waterproofing on owners balcony decks. Whether the association is responsible or the homeowners are responsible, it is a good idea to have those decks inspected at least annually to see if there are issues and to ensure that the owners or association follow manufacturer’s guidelines with respect to recoating, etc. and not let homeowners make modifications to the common areas without the association’s approval and supervision, at the very minimum. Associations can set up inspection programs for the benefit of the owners, without accepting responsibility for the maintenance or repair of the component. An association can make arrangements with a waterproofing contractor to visit each of the units to inspect the condition of the water proofing, as it still remains common area, even if the homeowners are, through the CC&Rs, made responsible for the repair and/or replacement of the waterproofing (see Civil Code §1364). Associations may want to discuss this matter with legal counsel. Amend the CC&Rs to make the owners responsible for their balcony deck waterproofing; not a good idea in my experience.